In the last year, Belarus has had to deal with the economic slowdown in neighboring Russia. Kallaur, chairman of the National Bank of the Republic of Belarus, cut the refinancing rate and interest rates on standing and bilateral transactions to try to stimulate growth and lending. According to the IMF, tighter fiscal and monetary policy has helped stabilize the economy. However, significant risks remain, not least of which is the asset quality of local banks. While some of the factors impacting Belarus’s economy are beyond Kallaur’s control, the question remains as to whether the central bank can do more, particularly when it comes to strengthening or recapitalizing problem banks that have a high level of nonperforming loans. As governor of the Bulgarian National Bank, Radev is working to restore faith in local banks following the collapse in 2014 of the country’s fourth-largest bank due to fraud and insider abuse. Radev and his team have worked hard to enhance supervision of the banking system. In 2016, the central bank conducted an asset-quality review and stress test of local banks, concluding that the banking system is well capitalized and that banks remain resilient to any external shocks. In a speech to the Association of Banks in Bulgaria held in Sofia in May, Radev said plans to enhance banking supervision were progressing well. He also seems committed to follow through on measures highlighted in the asset-quality review. However, the bank’s work is far from complete. According to the IMF, a more “targeted strategy” is needed to address high nonperforming loans, which stood at 13.7% of total loans as of June 2016. 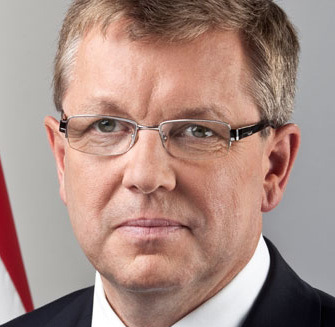 Former Czech prime minister Rusnok assumed the governorship of the Czech National Bank in July 2016. An economist by training, Rusnok and the bank’s Monetary Policy Committee surprised markets with their April decision to remove the koruna/euro exchange floor. The exchange floor had been in place for over three years. While it had proven effective in managing headline inflation, its removal, says the IMF, raises questions about the monetary policy that is likely to follow. Since the removal of the floor, the IMF says the koruna has appreciated by 2.5%. Now Rusnok has the task of using interest rates to achieve its 2% inflation target. At its August meeting, the central bank increased the two-week repo rate by 20 basis points and the Lombard rate by 25 basis points, but kept the discount rate at 0.05%. As the new monetary policy settles in, only time will tell how successfully it will help the bank meet its inflation target. 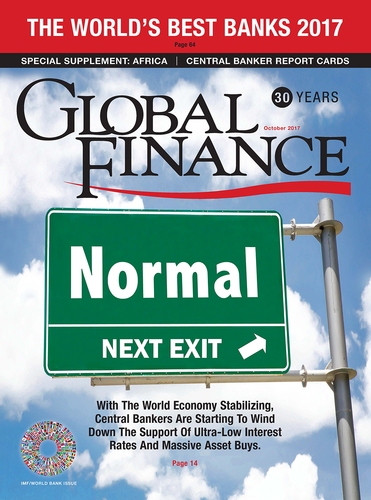 Most central bankers would probably be content using the conventional monetary policy tools at their disposal—interest rates or intervention in foreign exchange markets—to control a surge in speculative activity in the local currency. But Rohde has demonstrated his resourcefulness and ingenuity when it comes to defending the peg. When the Swiss central bank decided to abandon the Swiss franc/euro floor, investors flooded into currencies like the Danish krone. In a recent speech Rohde delivered to a Swiss policy seminar, Rohde said the bank was not going to follow the Swiss and abandon the fixed-exchange-rate regime any time soon. To try to control speculative activity in the krone, the Danmarks Nationalbank not only intervened in the forex markets, but it also recommended that the government temporarily reduce the supply of bonds. 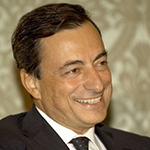 Draghi further said net asset purchases would continue till at least the end of the year, or at least until inflation moved more in line with the bank’s expectations. But if conditions deteriorate, then the bank stands ready to increase purchases accordingly. Despite more robust economic growth in the eurozone, Draghi says that “patience is needed.” He realizes the eurozone is not quite out of the woods yet, and inflation is not where the bank would like it to be. There is also the question of Brexit and what impact that could have on the exchange rate going forward. The Hungarian National Bank has continued with its accommodative stance toward monetary policy, keeping interest rates at record lows and increasing the amount of liquidity available to banks. However, the IMF has warned that it may need to change tack soon as inflationary pressures rise again. Matolscy will need to keep a watchful eye as wages rise and prices increase. But even if he manages inflation to perfection, however, his governorship of the bank and monetary policy achievements will continue to be overshadowed by allegations that he “enriched” himself and his family via various foundations. With Matolscy remaining a close ally of prime minister Viktor Orbán, questions also remain about the extent of the central bank’s independence from political influence. 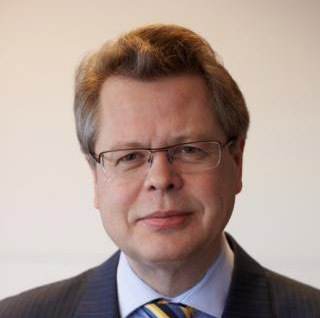 Guðmundsson and the Central Bank of Iceland have played an instrumental role in the country’s economic recovery following the 2008 global financial crisis. Inflation remains broadly within the bank’s target range; and having built up sufficient forex reserves after currency intervention, the bank’s objective of price stability has been largely attained. At its August Monetary Policy Committee meeting, the bank kept the key rate unchanged at 4.5%. 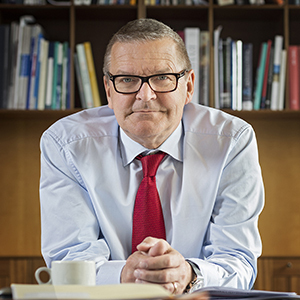 It seems Guðmundsson will enact whatever policies approaches are necessary—including tightening monetary policy—to ensure that price stability remains on track. Lower oil prices have weighed heavily on the Norwegian economy, but Olsen has demonstrated his willingness to act decisively in terms of loosening monetary policy to help stimulate growth in the face of oil’s slump. It appears to have worked, as growth is on an upward trajectory again. On January 1, Olsen was reappointed governor of Norges Bank and chair of its executive board for a second six-year term. Since lowering the key policy rate to 0.5% in 2016, the bank has maintained it at these levels, indicating that it feels it has done enough to get growth back on track. And it remains ever watchful of inflationary pressures, which could pick up. 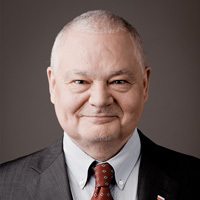 Glapiński was announced as former central bank governor Marek Belka’s replacement in May 2016. The economics professor, who is closely aligned with the leading Law and Justice Party, is expected to toe the line when it comes to keeping interest rates at record lows of 1.5%. In January, Glapiński stated publicly that raisig interest rates from their current levels would cause uncertainty. That doesn’t leave Glapiński much flexibility in case the economic scenario changes dramatically. Meanwhile, the zloty continues to appreciate. But the central bank governor doesn’t seem to be overly concerned about it. Isărescu is one of the world’s longest-serving central bank governors, having held that position at the National Bank of Romania since 1990—excepting the 11 months from December 1999 to November 2000, when he served as the country’s prime minister. Economic growth in recent years has been encouraging; but the IMF warns of risks to Romania’s economic outlook, including heightened political tensions, which could impact the exchange rate. It has called on the central bank to adopt a “flexible exchange rate” policy and to remain vigilant to help guard against potential risks. It also highlights the need to reorient policies away from encouraging consumers to spend money and toward investing in order to raise living standards. The IMF appears to suggest that a more hawkish approach is needed to keep inflation in check. Economic sanctions and low oil prices have taken their toll on the Russian economy, but Nabiullina has played a key role in getting it back on track by maintaining a tough monetary policy stance. In an interview with CNBC in June, Nabiullina said the Bank of Russia was close to its inflation target—quite an achievement, given that two years ago inflation was around 17%. 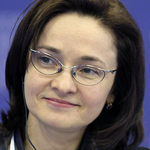 Nabiullina attributed the speedy reduction to the “toughness” of the central bank’s monetary policy. The central bank governor has also been tough in cleaning up Russia’s overcrowded banking sector, closing banks. Nabiullina is doing so well—at least in the eyes of her boss, president Putin—that he announced in March he would nominate her for a new five-year term. Ingves has been governor of the Sveriges Riksbank, Sweden’s central bank, since 2006. At its July 2017 meeting, the bank’s executive board kept the repo rate at -0.5% and hinted that it would not increase rates until the middle of next year. 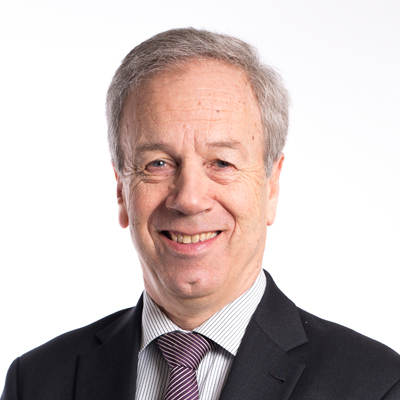 At the same time, however, Ingves was equally keen to stress that the bank is willing to maintain an accommodative stance and may cut rates further even if inflation increases. Ingves is keeping his options open, which is perhaps wise given that monetary policy in other countries will likely remain flexible. The IMF says the Swiss National Bank has managed to “avert a prolonged slowdown and sustained deflation,” using negative interest rates and propping up its currency. But the forex interventions were not without risk. In the past year, in efforts to stave off speculative activity in the franc, which is a safe-haven currency, the central bank made forex purchases totaling SFr67 billion ($70.9 billion), which increasd its balance sheet. As Jordan has pointed out, an expanding balance sheet can increase profits but also exposes the bank to potential losses. Is Switzerland’s central banker running out of leeway when it comes to his most-favored monetary policy options? Çetinkaya was appointed governor of the Central Bank of Turkey in April 2016. He previously worked at Kuveyt Türk. In recent years, political events—the failed military coup, deterioration in relations with EU countries, Russian sanctions and the war in neighboring Syria—have dampened Turkey’s macroeconomic outlook. Çetinkaya and the central bank have demonstrated flexibility in managing growing inflation and a declining lira. He did not hesitate in tightening monetary policy to try to tame inflation and prop up the lira. Çetinkaya tightened the liquidity supply to banks—the late liquidity window rate was increased by 50 basis points to 12.25%—and increased short-term interest rates. Çetinkaya has also talked about implementing a new tool, like a currency swap, for supplying temporary liquidity to the forex market. Smolii was appointed acting governor of the National Bank of Ukraine in May of this year after an embattled Valeria Gontareva suddenly resigned, battered by death threats and accusations of corruption and criminality that some see as retaliation for her reforms—she had been lauded by the IMF for fixing Ukraine’s economy, cleaning up the banking sector and taming inflation from a peak of 60%. Smolii seems keen to continue Gontareva’s legacy. In the Kyiv Post in June, he talked about inflation targeting, breaking down Ukraine’s oligarchies and restoring faith in the currency and financial system. Only time will tell if he can distance the central bank from undue political influences. We were quick to praise Carney last year for his reassuring comments following the announcement that the UK had voted to leave the European Union. In response to the Brexit vote, Carney cut the base rate for the first time in seven years,to its lowest-ever level, 0.25%, to ward off any negative impact on the economy. 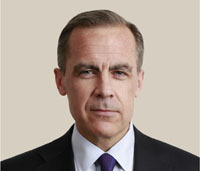 Now, of course, Carney faces a different challenge. Recent meetings of the Bank of England’s Monetary Policy Committee have highlighted divisions over when to raise rates. Carney says now is not the time, particularly with Brexit looming. But years of low rates and quantitative easing have resulted in a pileup of household debt—another potential crisis—and the longer that Carney delays a rate hike, the more risk it will be perceived as too little, too late.